Tuesday, February 27 is IHOP National Pancake Day! 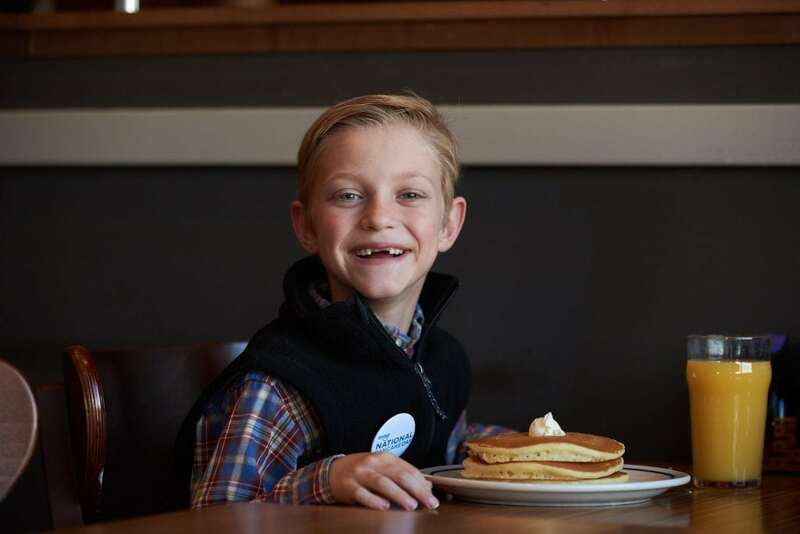 Visit IHOP locations in York, Lancaster or Harrisburg to enjoy a FREE short stack of pancakes and make a donation to benefit kids treated at Penn State Children’s Hospital. Invite your friends and family to visit a participating IHOP location to get your FREE short stack of pancakes! Who knows? You may run into a special friend of ours – Miss Pennsylvania! Are you celebrating National Pancake Day this year? Tell us in the comments! Previous post: Meet IHOP National Pancake Day Culinary Kid Elise! Next post: Mark your calendars! IHOP National Pancake Day is Tuesday, February 27.